Kathryn Thomson, B.Ed, M.A. is a principal with LeadershipMind Consulting and a senior faculty member in the Centre for Leadership at the Justice Institute of BC. 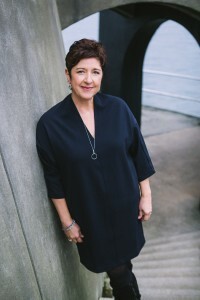 She has 23 years of experience in creating and delivering highly successful strategic planning, visioning and stakeholder engagement processes in both corporate and non-profit settings. Kathryn also develops and delivers curriculum on a wide range of topics including collaborative leadership, critical thinking, building healthy teams and navigating conflict. She is passionate about helping people think, talk and act for more sustainable, healthy results—in communities and in the world. Kathryn is excited by the shift in recent years in how we understand leadership in organizational and community settings. here is a real hunger for new models of leadership that are collaborative, innovative and adaptive. 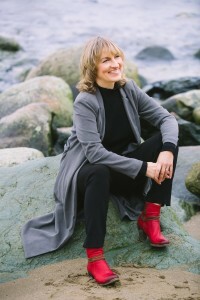 For the past 20 years she’s been coaching leaders on how they can create healthy, productive human systems, and helping them discover what inspired leadership can do in organizations of any kind, anywhere. Georganne Oldham, B.A., M.S. Organization Development, is a principal with LeadershipMind Consulting and a senior faculty member in the Centre for Leadership at the Centre for Leadership at the Justice Institute of BC. Georganne has over 25 years of organization and leadership development coaching, consulting and training experience. Her focus is on leader, employee, and team development. She is an award-winning curriculum developer and an accomplished group facilitator. She is particularly skilled in helping groups and individuals grapple with the complex issues that are inevitable in dynamic, changing organizations. She works collaboratively with leaders and staff to design sustainable change processes and provides them with the skills needed to support those changes. Georganne is passionate about providing individuals with the skills and mindsets to transform their organizations and communities. She enables people to be the leaders they want to be in their relationships, their roles and their lives.